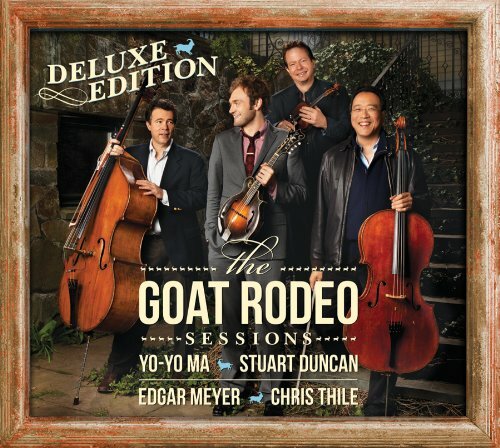 The Goat Rodeo Sessions combines the talents of four different solo artists, cello virtuoso Yo-Yo Ma, mandolin master Chris Thile, bluegrass fiddler Stuart Duncan, bassist Edgar Meyer, each a Grammy Award winning star in their own right, to create a unique, genre-breaking sound that’s part composed, part improvised and uniquely American. The music is so difficult to pull off, the group likens it to a Goat Rodeo – an aviation term for a situation in which 100 things need to go right to avoid disaster. The album is highlighted by an appearance by vocalist Aoife O’Donovan. 13. Jig in a Snowstorm: Talkin' About "Attaboy"
15. Strange Hand to Hold: Talkin' About "Here and Heaven"
17. Steady Eight: Talkin' About "Helping Hand"